"Peter picked a pretty purple platypus." "The male platypus has venomous ankle spurs." "Australian duck-mole, 1799, from Modern Latin, from Greek platypous, literally 'flat-footed,' from platys 'broad, flat' (see plaice (n.)) + pous 'foot' (see foot)." 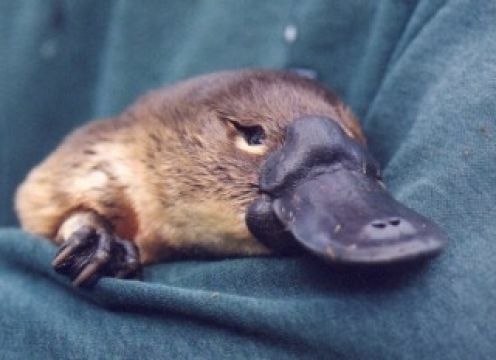 The platypus is my favorite animal EVER!!! cuz is so awkward. if a beaver and a duck collided then you get a platypus! !